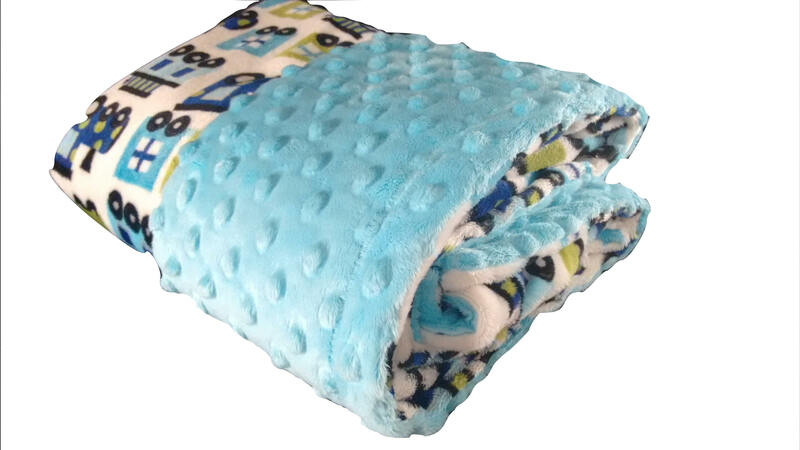 Photo sample blanket, one only, no personalization available, already made blanket 28 x 35 inch infant blanket, great price. 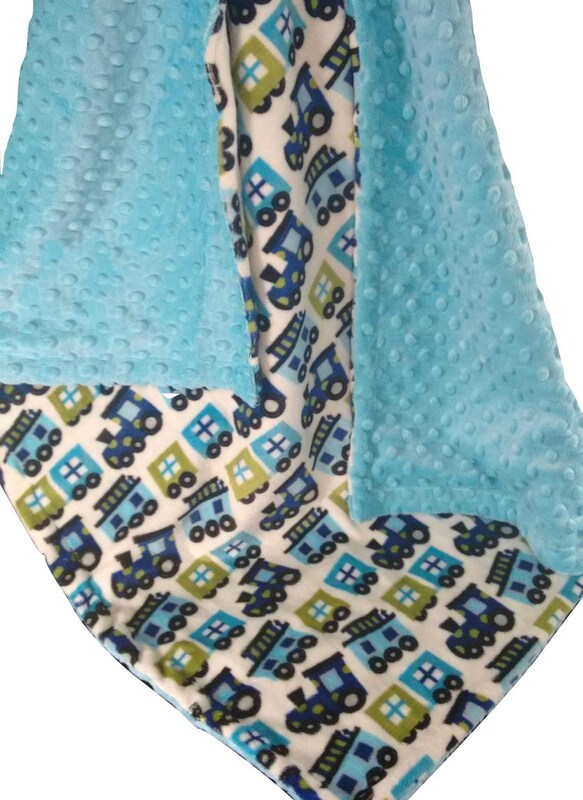 Blue, green, and turquoise train print paired with light aqua dot, this is a sweet baby boy gift. Personalize it by following the instructio.ns below in the FAQ's.